Everyone needs a good recipe for chocolate chip cookies. Here is one I like to keep on hand because, when I get hungry for chocolate chip cookies, nothing less will satisfy me. Not even the most delicious chocolate or lemon cookies. When you get a hankering for them, preheat your oven to 325ºF. 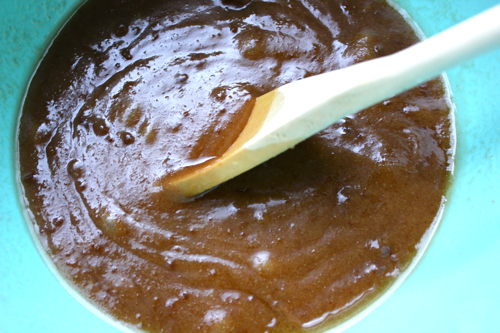 Then, mix together 1 cup of brown sugar, 1/2 cup of white sugar, and 3/4 cup of melted butter. Once they are blended, mix in 1 tablespoon of vanilla extract, 1 egg, and 1 egg yolk. After those are incorporated, mix in 2 cups of flour and 1/2 teaspoon of baking powder. 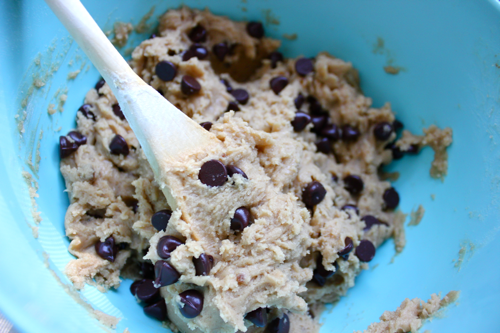 Stir some chocolate chips into your dough mixture. I used 1 cup of them here, which was more than sufficient, but I also would have been happy with 3/4 cup. 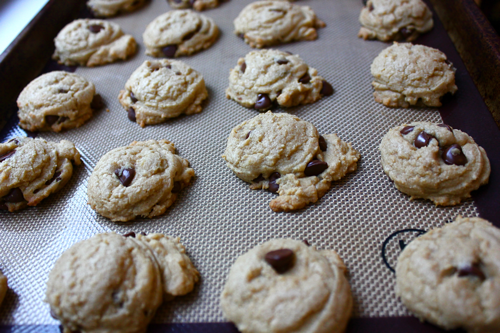 Then, scoop your cookies out onto a greased baking sheet (or one lined with a silicone mat). 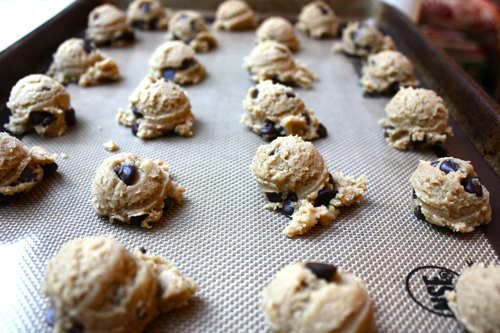 Put your cookies into the oven, and let them bake for 10 minutes. Your kitchen will smell heavenly. Pull those cookies out, and enjoy! Maybe even stick one into a scoop of ice cream. Oh la la! 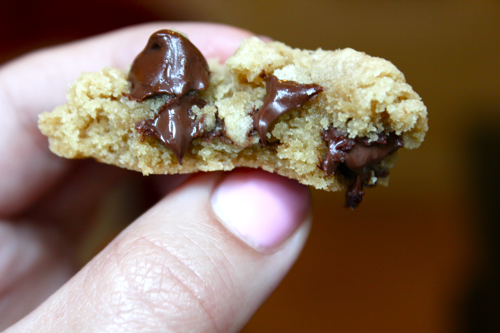 The best chocolate chip cookie! Thank you for the tasty treaty! Looks yummy. I can’t wait to try this recipe! !